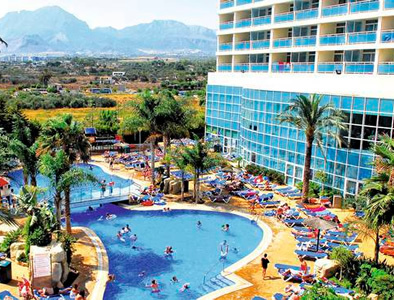 This attractive 4 star Medplaya Flamingo Oasis is located in a new part of town only 15 minutes from the Levante beach and close to bars and restaurants. 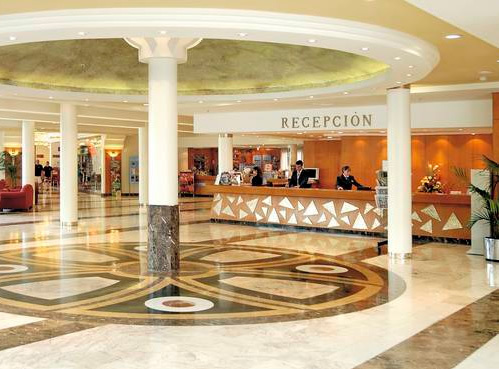 As it name suggests the hotel is like an oasis in this busy bustling resort. Its large lake like swimming pools and family entertainment are the big attractions for this popular hotel along with palm fringed sun terraces dotted with sun-loungers. "great entertaiment choice for high and low season!" The hotel has 25 floors with 398 guest bedrooms. 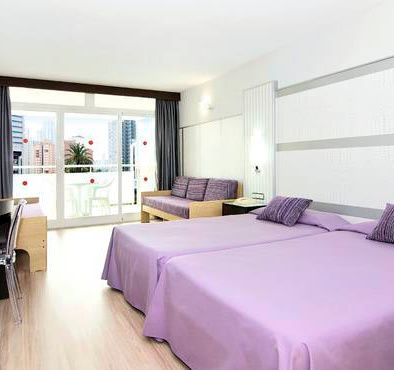 Each double room consists of two single beds and two sofa-beds. They are all equipped with the following facilities to ensure maximum comfort during your holiday: large balconies with sea, mountain or pool view, a complete bathroom, telephone, air conditioning, television with satellite television channels, hair dryer and optional safe deposit box. Family rooms have a double bed, a single bed and two sofa-beds. The Flamingo Oasis is an all inclusive hotel, meals can be taken in the two buffet restaurants they are open for breakfast, lunch and dinner with international buffet dishes on offer. Vegetarian diets can be catered for, please let us know before travel. Branded drinks incur an extra charge. Dress code applies - no swim wear, shorts or flip flops. In addition to the restaurants there is a snack bar by the pool offering snacks, fast food, alcoholic and non-alcoholic drinks (open in the summer months). Other bars to choose from are the Flamingo Fiesta disco bar, Piano lounge bar, ( For adults only, open 6 nights a week closed in July and August). Skyline rooftop bar a self-service bar exclusively for Club Room guests. With TV and internet access, on the 24th floor. The hotel has one indoor pool and three outdoor pools and has a choice of sporting facilities. In summer the Flamingo Oasis is bustling with entertainment and activities. There’s a full entertainment programme which includes professional shows considered to be the one of if not THE best in Benidorm. Entertainment is also available in the designated open-air entertainment area. Of course, there’s a wide variety of summer activities designed just for the little ones, too. In the winter season, while other hotels may reduce their entertainment levels not so at the Flamingo Oasis the fun continues with an entertainment programme packed full of games, sports and shows. 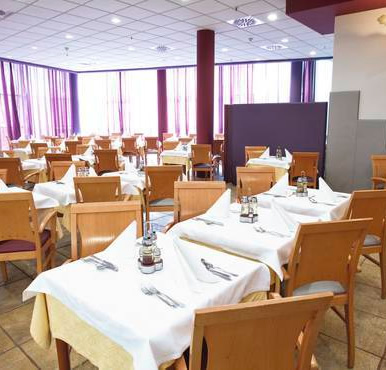 The Hotel is a range of amenities to provide you with everything for a great holiday including a 24 hour reception. 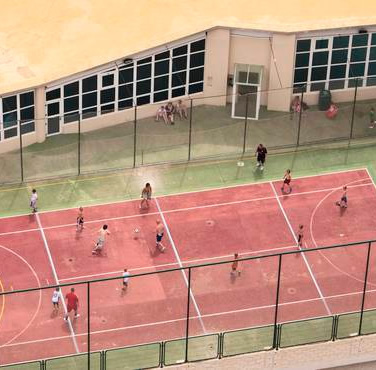 Internet Center, recreational room, childrens area, Gymnasium, Multisports zones and Mini Golf. Also you can arrange car rental here (we can also arrange this before travel), British Newspapers sold, Mail pick-up service, Taxi service and a Currency exchange available between 8:00a.m. & 11:00p.m.